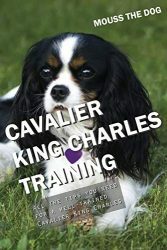 Cavalier King Charles Spaniel Training with the No BRAINER Dog TRAINER (We Make it THAT Easy!) 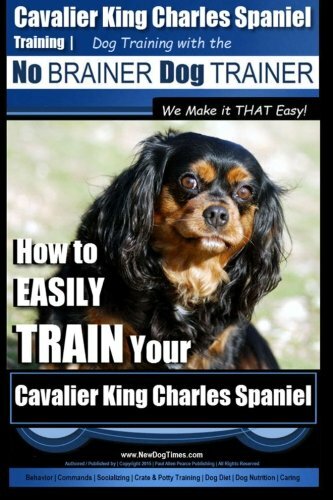 How to EASILY Train Your Cavalier King Charles Spaniel! Inside this Cavalier King Charles Spaniel Training System are the answers you need for successfully training your dog beginning with the CAR RIDE HOME. (Vitally Important!) And it can make a world of difference in your results! 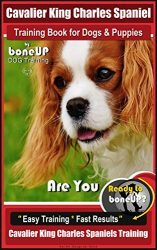 We are serious about making certain you easily achieve your successful outcome when you put the No BRAINER Dog TRAINER system into action, while using specific and key information you will need to train your Cavalier King Charles Spaniel. You can easily attain it all by taking the simple, clear, fast and effective steps provided to you that you will take, followed naturally in the results you and your new dog both deserve when you act today. But not just for today, these are the results that last, and will continue for a long term, healthy and happy life together. So serious in fact, I managed to pepper in a wee bit of humor along the way. SOLUTIONS for Whining, Whimpering, Separation Anxiety, House training and Chewing – How to avoid common mistakes – AND how to properly Train using rewards based clicker training. Also, the all-important Digging & Chewing Solutions. Inside you will find the importance of SOCIALIZATION for your Cavalier King Charles Spaniel – How properly to socialize your dog while you are training and guiding them into a thriving adult dog. 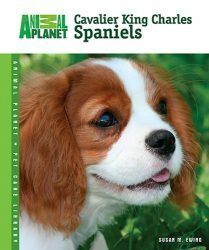 By reading this guide, you will be prepared to handle your Cavalier King Charles Spaniel puppy’s first few days of jittery adjustment to a new home, and LEARN HOW to establish yourself as the trusted Alpha Leader. This early groundwork is the base for a remarkable lifetime relationship between the two of you. 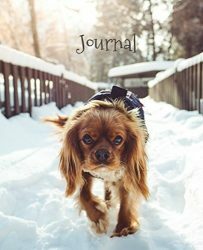 Arming you with the do’s and don’ts as well as the answers that quickly solve any issues that may arise from separation anxiety, chewing, barking, house training, and other mischief, the information inside this guide provides you a head start to becoming an efficient confident trainer and owner for your Cavalier King Charles Spaniel puppy to follow. FREE inside – New Dog Starter Guide Inside contains additional information that provides insight into dogs, and advantage in training your new dog. Download it for FREE, from inside this book. A major secret to your Cavalier King Charles Spaniel puppy training success includes and certainly depends on your happiness, attitude, approach, and type of command delivery you give. It is an easy philosophy too; the more you have fun, the better results you will get, and the better experience your Cavalier King Charles Spaniel will enjoy. 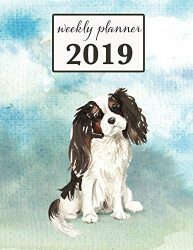 You can secure your outcome simply by choosing right now to put our progressive Cavalier King Charles Spaniel training book to work with your dog now, and start seeing positive dog obedience results immediately. Download it now we guarantee our training materials. Who knows right? 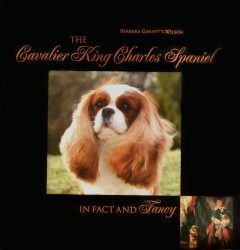 You may just have a laugh while teaching your dog with my Kindle Cavalier King Charles Spaniel training guide. Thanks for reading, my family is grateful, and we sincerely appreciate your order today! Paul Allen Pearce Author, Trainer, Dog Lover, Expert with your Cavalier King Charles Spaniel.